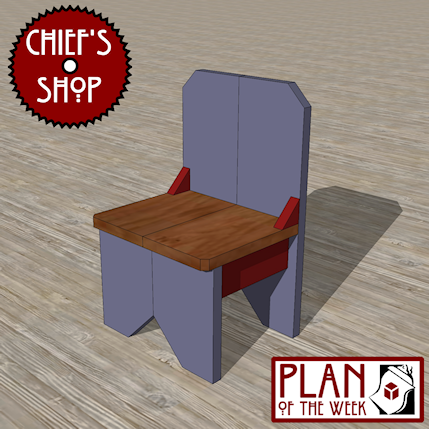 The Chief’s Shop Simple Rustic Chair makes a nice accent piece for a country/cottage kitchen, and would also look nice on a front porch. Add a small pillow for a bit more comfort. Assembly requires a Kreg Pocket Hole Jig.